San Francisco may become the latest U.S. city to try to curb the consumption of sugary drinks with a proposed ballot measure to impose a tax on beverages seen as a culprit in rising rates of childhood obesity and diabetes. Supervisor Scott Wiener on Tuesday formally proposed asking voters in November 2014 to impose a 2-cents-per-ounce tax on soda and other drinks with added sugar sold in the famously liberal northern California city. No other U.S. city has enacted such a tax, though a similar proposal is in the works in the southwestern Colorado town of Telluride, according to the Rudd Center for Food Policy and Obesity. Two other California cities, Richmond and El Monte, failed last year in their attempts to become the first in the nation to impose taxes of a penny per ounce on businesses that sell sugary drinks. 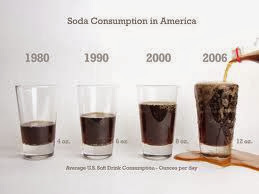 In New York, Mayor Michael Bloomberg last year spearheaded a ban on the sale of large, sugary drinks last year, but the move was later declared illegal by a state judge after a challenge by soft drink makers and a restaurant group. New York's highest court has agreed to hear an appeal. For the rest of the story, go to Reuters. For information on state and nationwide trends, contact Susan Motika at the Colorado Department of Public Health and Environment.